The Budding Gourmet brings you the “Style Menus Recipes” App featuring 52 complete menus each with a style concept and suggestion covering a total of over 250 recipes across cuisines, themes and occasions. One for every day of the week. You can also click to visit the site directly from the App to access more recipes, menus and style ideas. The App combines the beautiful aesthetic, vetted recipes, and expertise that are salient features that we at the Budding Gourmet stand for. We have demystified food, Indian and International, and its presentation for you bringing together elegance, grace and plain simple delicious food. The Budding Gourmet “Style Menus Recipes” App is perfect for nearly anyone who enjoys entertaining and hosting friends, trying new cuisines and enhancing their culinary experiences. Our inspiring, easy-to-follow menus also solve the perennial problem of what to cook for dinner. Most menus are accompanied by delicious desserts ideas that, together, will make any gathering, however small or big, special and fun. And many more solutions for you to try. 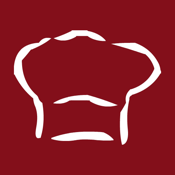 The Budding Gourmet “Style Menus Recipes” app is available FREE on the App Store.